Fordham welcomed nine new members to its Board of Trustees in the 2018-2019 fiscal year. The new trustees bring a diversity of voices from several fields, including law, business, philanthropy, science, and the arts. Some of the trustees, like financial services executive James Rowen, practically grew up on Fordham’s campus, beginning with Fordham Prep. 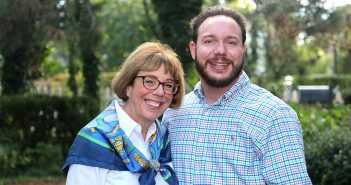 Others have ties that bind to family, like attorney Maryanne Lavan, who has honored the memory of her late brother, a Fordham graduate, with an endowed scholarship. For others, the Fordham mission is a mission shared with family. 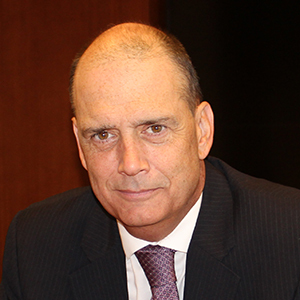 Real estate executive Jorge B. San Miguel started his term as a trustee just a month after his brother, Luis E. San Miguel, completed his service on the Fordham board. The new trustees will bring both arts and science perspectives in addition to their primary expertise. Investor James Buckman is a former board member of the New York Philharmonic, and Gregory C. Chisholm, S.J., a Harlem pastor, holds a doctorate in mechanical engineering from MIT. Most bring perspectives on contemporary civic issues and ethics from a variety of fields. Insurance executive John Lumelleau is a champion of Big Brothers Big Sisters of Greater Kansas City. Andrew Hinton served as a federal prosecutor focusing on white-collar crime. Anthony Carter is a nationally recognized expert on diversity and inclusion. And Michael Dowling’s rise from hardscrabble Irish immigrant to leader of New York’s largest system of hospitals and long-term care providers reflects that of Fordham’s own Irish-immigrant founder, Archbishop John Hughes. Buckman is the retired vice chairman of York Capital Management, a New York-based hedge fund firm with approximately $14 billion under management. Currently a private investor, Buckman had a long career as a corporate general counsel, much of which he spent in the hospitality industry, particularly with the Cendant Corporation. 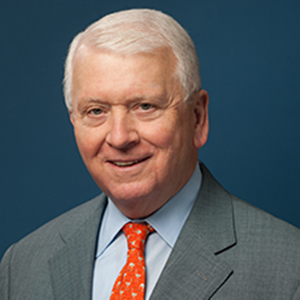 After Cendant’s dissolution, he became a board member of the Wyndham Destinations, Inc., one of Cendant’s spinoff companies, and continues to serve as director of Wyndham Hotels and Resorts, Inc. Earlier in his life he served as a first lieutenant in the Connecticut Air National Guard, the Georgia Air National Guard, and the United States Air Force Reserve. He is also a former board member of the New York Philharmonic, where he and his wife, Nancy, have endowed a chair in the orchestra for a cellist. He is a trustee of Fordham Preparatory School, where he is also a member of the Hall of Honor. At Fordham, the Buckmans have an endowed a chair in the theology department—the James and Nancy Buckman Applied Chair in Christian Ethics—and the James and Nancy Buckman Endowed Scholarship. Buckman co-chaired the University’s Excelsior Campaign and in 2009 received the Fordham Founder’s Award. The Buckmans have three daughters, Elizabeth, Anne, LAW ’05, and Julia. In 2015, Carter retired as vice president, Global Diversity & Inclusion, and chief diversity officer for Johnson & Johnson. Under his leadership, the company was consistently named one of the top 10 among the 50 best American companies for diversity by DiversityInc magazine, earning the number one position in 2009. Carter has been recognized by Black Enterprise magazine as one of the top chief diversity officers in America. 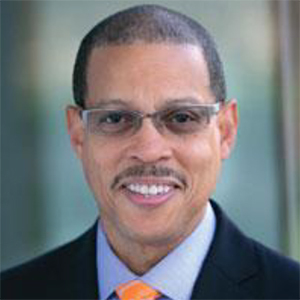 At Fordham, Carter served as chair of the University’s search committee for a chief diversity officer, was a member of the University’s Diversity Task Force, and was Fordham’s executive champion while he was at Johnson & Johnson. In May of 2017, Carter was the speaker for the Gabelli School of Business diploma ceremony and was awarded an honorary doctorate from Fordham. He also served on the University’s President’s Council and supports Fordham’s CSTEP program. Carter grew up in the South Bronx in a family of 10 children whose parents died when he was young. He and his wife, Wendy, have three children, Austin, Ashley, and Dayne, FCRH ’15. 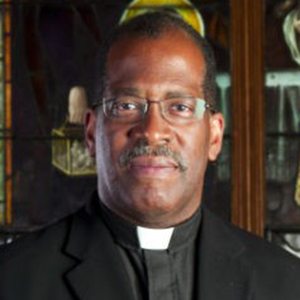 Father Chisholm is currently pastor of the Parish of St. Charles Borromeo, Resurrection and All Saints in Harlem. He is also dean of the Central Harlem region of Roman Catholic parishes. He joined the New England Province of the Jesuits in 1980 and was ordained a priest in 1993; he now belongs to the USA Northeast Province of the Jesuits. Father Chisholm received his doctorate in mechanical engineering from the Massachusetts Institute of Technology and taught mechanical engineering at the University of Detroit Mercy. 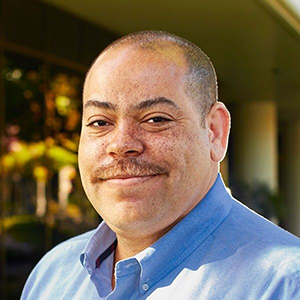 Since 1998 he has been in full-time parish ministry in Los Angeles and New York City, serving largely African-American and Latino communities. He has served on the governing boards of several universities as well as Cristo Rey New York High School. He currently is on the board of Xavier High School. Father Chisholm grew up in Harlem, where his family attended St. Mark the Evangelist Catholic Church. He attended Catholic schools in Harlem and the Bronx. 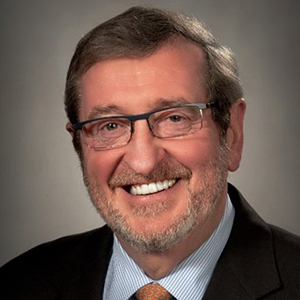 Dowling is president and CEO of Northwell Health, the largest system of hospitals and long-term care providers in New York and the largest private employer in New York state. Dowling was instrumental in the merger of North Shore and Long Island Jewish hospitals. Before joining Northwell Health in 1995, he was a senior vice president at Empire Blue Cross/Blue Shield. 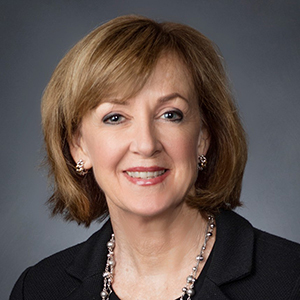 Dowling also served in New York State government for 12 years, seven of which were spent as state director of Health, Education and Human Services and deputy secretary to the governor. He was also commissioner of the New York State Department of Social Services. Before his work in public service, Dowling was a professor of social policy and assistant dean at the Fordham Graduate School of Social Service (GSS) and director of the Fordham campus in Westchester County. In May of 2017, he received a doctor of humane letters and spoke at the GSS diploma ceremony. Dowling is the oldest of five children; he grew up in a home in Limerick, Ireland, without electricity, running water, bathrooms, or heat—but, he says, his family always had plenty of books. He and his wife, Kathy, have two children, Brian and Elizabeth. Hinton currently serves as vice president of global ethics and compliance at Google, where he spearheads efforts to identify and mitigate compliance risk and expand upon the company’s core values. He joined Google in 2006. After receiving his J.D. in 1989 from Fordham Law, where he was a member of Fordham Law Review, Hinton worked as a litigation associate at Cravath, Swaine & Moore LLP in New York, with concentration on commercial litigation and white collar criminal defense. He went on to work at the U.S. Attorney’s Office in the Eastern District of New York as a federal prosecutor, focusing on white-collar crime. He serves on the Ethics Research Center Board of Directors and has lectured at the Compliance & Ethics Institute. Hinton has remained connected to Fordham Law, serving on the Class of 1989’s 25th Reunion committee in 2014. He lives in Palo Alto, California, with his wife, Joy, and their two children, Sarah and Eric. Lavan is senior vice president, general counsel, and corporate secretary at Lockheed Martin Corporation. She joined Lockheed Martin in 1990 as an attorney and served in increasingly senior positions within the legal department. The company’s first female general counsel, she is responsible for managing the corporation’s legal affairs and law department. 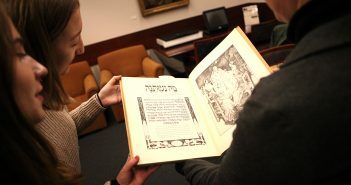 Lavan became involved with Fordham University after her youngest brother, Matthew Lavan, FCRH ’98, passed away in 2003. She supports the Matthew J. Lavan Endowed Scholarship at Fordham, established by Matthew’s classmate, and has given generously to the Global Outreach Program at Rose Hill, which Matthew participated in as a student. In September 2014, Lavan joined the President’s Council Executive Committee. Several members of her family are Fordham graduates, including her father, Thomas Lavan, UGE ’57, and late mother, Ann Lavan, UGE ’54, who met at Fordham. She and her husband, Larry Harris, have two children, Mikayla and Zachary. In 2017, Lumelleau retired as the president and CEO of Lockton, the world’s largest privately held independent insurance broker. Under his leadership, the Lockton team grew to become a global organization with more than with 85 offices worldwide and more than $1.4 billion in fiscal revenue in 2017. He now serves as an adviser to the board. Lumelleau has been a supporter of Fordham Athletics programs for many years. In recognition of his consistent support of the Fordham Football program, Lumelleau, a former player at Fordham, was honored with the Walsh Award in September 2015. Lumelleau joined the Executive Committee of the Fordham President’s Council in August 2015. Outside of Fordham he has long been involved in civic issues, serving previously on the Board of Directors of the Council of Insurance Agents and Brokers; the Board of Overseers of the St. John’s University School of Risk Management & Actuarial Sciences; and as an ambassador for the Big Brothers Big Sisters of Greater Kansas City, an organization he supports together with his wife, Loretta. The Lumelleaus have three children, Ryan, Matthew, and Anne. Rowen is the chief operating officer at Renaissance Technologies, LLC, a New York-based registered investment adviser. His career spans 25 years in the financial services, including the equity derivatives, prime brokerage, and structured finance businesses. Rowen holds positions on the Founders Council at the Managed Funds Association, where he previously served as vice chairman. Before Renaissance, he was the chief financial officer of hedge fund firm SAC Capital Advisors LLC. Prior to that he was responsible for Deutsche Bank’s Global Equity Finance and Prime Brokerage business. 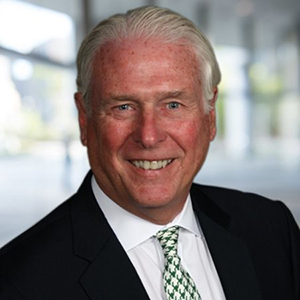 In addition to his two degrees from Fordham University, Rowen is a 1982 graduate of Fordham Preparatory School and has served as chairman of that school’s board. He has also served as a member of the Fordham College at Rose Hill Alumni Board. He and his wife, Diane, have two children, James and Kaitlin. San Miguel is the president of the San Miguel Foundation, where he is responsible for fundraising, investment, and portfolio management at the family foundation. 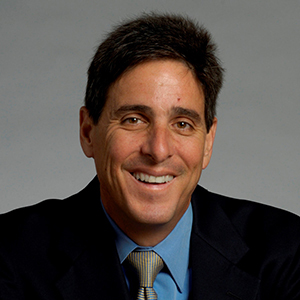 During his thirty-year career, San Miguel served as executive vice president and chief information officer of Florida East Coast Industries and as chief financial officer of Codina Group, Inc., a South Florida based real estate development company. Prior to that, San Miguel worked at Ernst & Young, where he developed a Latin America mergers and acquisitions group. San Miguel resides in Key Biscayne, Florida. He currently serves as treasurer of Miramar United Elite FC youth soccer academy and coaches both soccer and football at his high school alma mater, Immaculata-La Salle High School in Miami.